Well, Glee started its new season this week with a Britney-themed episode that did a pretty amazing job of recreating a lot of her most popular videos with the cast, especially the character also called Britney (who often as the best lines in an episode). She really looked a lot like Brits in each scenario, which was surprising. "What do animals do besides poop on your lawn and make you feel guilty about how delicious they are?" I love me some Sue Sylvester. 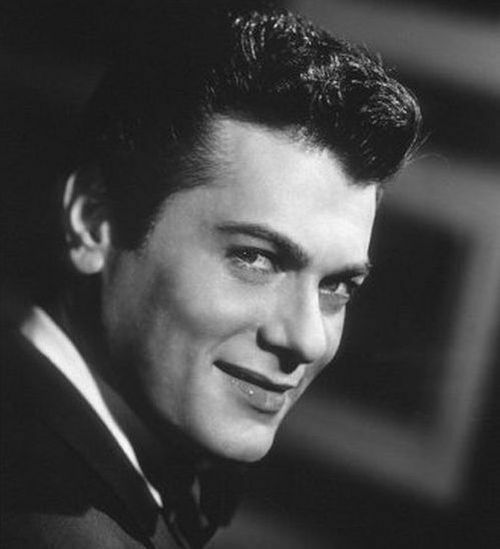 Screen legend Tony Curtis died Thursday, his family said. He was 85. Curtis starred in more than 150 motion pictures and was nominated for an Oscar for his performance in 1958's "The Defiant Ones" with Sidney Poitier. Curtis also is known for his roles in the 1959 movie "Some Like it Hot" with Marilyn Monroe and Jack Lemmon and "Spartacus" in 1960 with Kirk Douglas. He also played the lead role in "The Boston Strangler," released in 1968. Okay...I'm not very bright, so stupid things make me laugh. I totally thought that read..."Screen legend Tony Cutis died Thursday. His family said he was 85." Like that was the important statement from the family. Or, there was some scandal over his real age. Of course, that's not what it said. But, I still think there's a story there.